You can pay online via PayPal or a Credit and Debit Card from all the major providers. The security of your data and the transaction itself is provided by either the PayPal or Square secure payment environments and no information is stored by us separately. Alternatively you can call us on 01841 532 043 (10 am – 5 pm, Mon – Sun) to make a credit card payment by telephone. You can also pay for your art > £400 using Interest Free Finance. 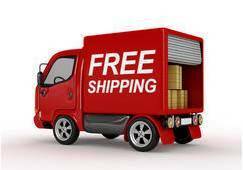 Delivery is free for most items for our Standard Delivery (Mon-Fri) service within 2 days to mainland UK. Paintings ( > 0.9 m or > £ 500 ) will also be delivered for free but may take up to 10 days as we use a specialist courier. For glazed pictures < £ 400 there is however a shipping charge of £ 9.95 (and for glazed pictures < £ 200 the charge is £ 19.95 ) due to the cost of shipping glass safely. See individual items for details. For glass and ceramic sculptures there is a single shipping charge of £ 9.95. We will automatically refund any additional shipping charges when ordering multiple items to the same address. You will receive an email acknowledging that we have received your order ( Order Acknowledgement ). Please check your Junk Mail folder if you have not seen this in your Inbox within 24 hours. How is my art packed? All our sculptures are either wrapped in bubble wrap or polystyrene and then packaged within sturdy cardboard boxes. Paintings have foam protection applied to the frames and are bubble wrapped and/or cardboard protected depending upon the individual item. Your Certificate of Authenticity will also be included in an envelope within the package. How do I know when my art has been sent to me? You will receive an email from us ( Dispatch Confirmation ) when your art has been dispatched with tracking details for you to follow its progress. How long until I receive my art ? Our standard delivery time ( Monday – Friday ) from the date of the Dispatch Confirmation is 2 days for most items with either Royal Mail or a professional courier and up to 10 days ( depending upon postcode ) with a specialist courier who we prefer to use for items ( with one dimension > 0.9 m or costing > £ 500 ). Please Contact Us by Email or Call 01841 532 043 if you have any queries or wish to arrange a specific date for delivery. Can I Add Specific Requirements or Change The Standard Delivery Timescale? You can add any particular requirements in the Order Comments field when placing your order. For example, this could be to add a specific delivery day ( Mon – Fri ) in advance or to add that the item can be left at a neighbours address if you are unavailable. Please note that you will need to contact us if you require Saturday delivery as this will incur an additional charge. This could be circa £ 20 – 40 depending upon the courier and the size of the item. What time will my art arrive? Courier firms do not always specify delivery times and your art could be delivered at any time between 9 am and 6 pm on the stated day. In our experience though the majority of deliveries occur before 2 pm on weekdays (Monday to Friday). Does someone have to be in at the delivery address? As your art will arrive by courier we do require that someone is there to sign for the package so sometimes it may be useful to give us your work address or a friends address if you are not likely to be about during the day. If you are not in the courier firm will attempt delivery again the following day. After this attempt the art will be returned to us and we will charge a £ 25 administration and postage fee to resend the art back to you. 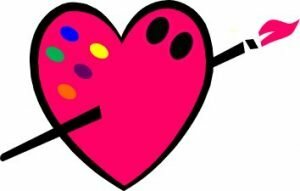 What happens if I change my mind after receiving my art? You have 7 days from the day after you receive your art to cancel your order for whatever reason within your Consumer Rights. In such case, you should Contact Us By Email to let us know and we will arrange a full refund. You will however be responsible for the cost of returning the art to us by courier in the same manner – packaging, insured, tracked and signature upon receipt – in which it was sent to you. For further details see our Terms & Conditions. 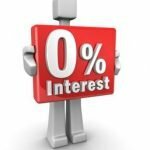 Read more to apply for Interest Free Finance as this option is not available through the shopping cart.